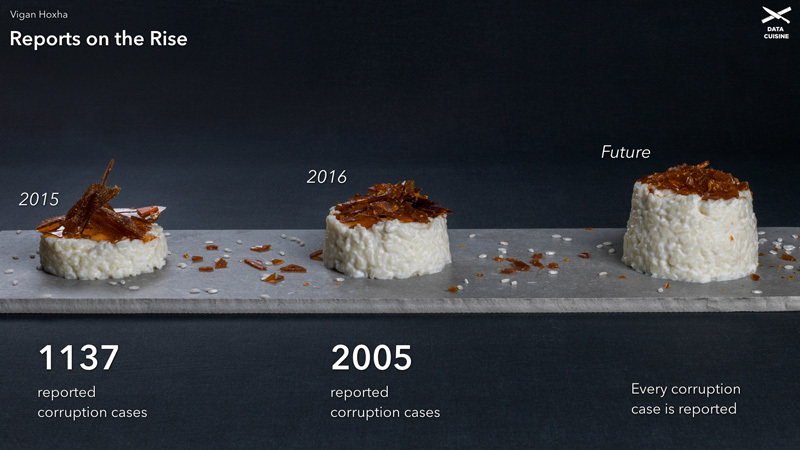 An article very close to my heart (I'm a huge foodie), this team are literally bringing data to life using food as a medium to visualise data. Imagine a fish stew whose ingredients reflect the data about local fishing, a pizza topped to represent the population mix of Helsinki, or a selection of chocolates whose fillings represent the various causes of death for a population. These are just a few of the delicious and beautiful visualisations to come out of Jaschko and Stefaner's Data Cuisine workshops. Participants are given access to a library of local data and asked to choose something that holds some personal meaning of relevance to them. They then use a state-of-the-art kitchen to create the testiest, edible visualisations to match their chosen data sets. The results are beautiful, delicious, and thought provoking.